Home>PET PRODUCTS>Dogs>Dog Toys- All > WP Zogoflex Zisc dog Toy - Made in USA- 3 Left! COLOR Tangerine- 2 Left! Glow in the Dark- 1 Left! 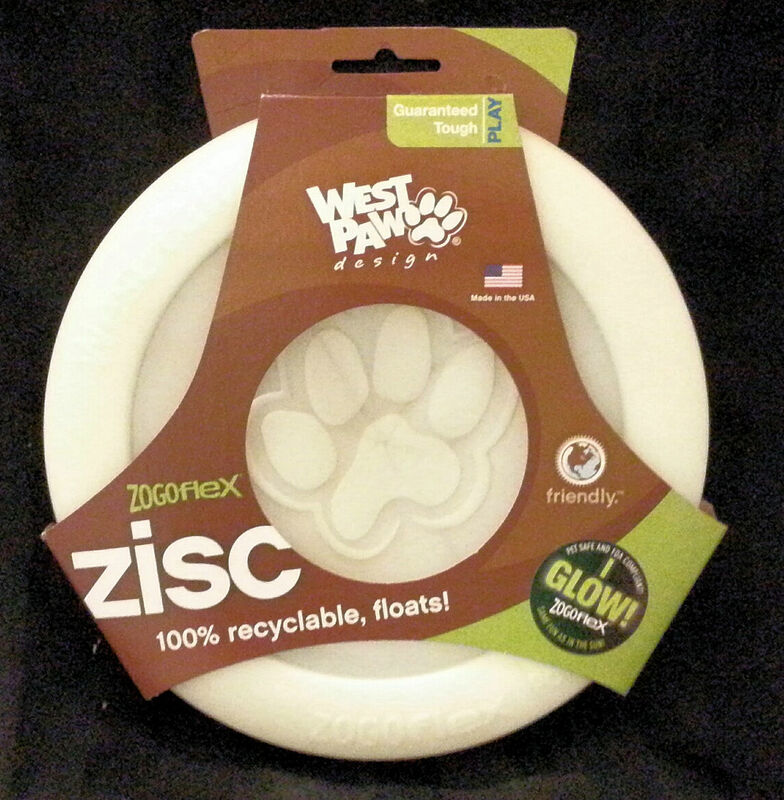 Made with durable and buoyant Zogoflex material, Zisc is guaranteed against dog damage. While the Zisc dog toy is not designed to be a chew toy, it is designed to withstand as much active play as dogs can dish out while playing frisbee. If a dog manages to damage this or any of our Zogoflex dog toys, we offer a one-time free replacement or refund. Beyond Zogoflex?s guarantee, many people are true fans of this family of durable toys because dogs love them. 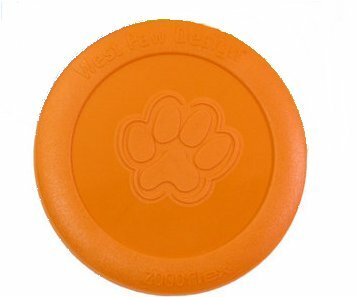 Zogoflex dog toys are bouncy, buoyant, made in the USA, 100% recyclable, non-toxic and even dishwasher safe. Zisc is my favorite toy. Hello--This is Spirit, Alex's 6yo Border Collie and Manager of Pet Products at Strictly USA. The Zisc is one of my favorites. It's highly visible, easy on the teeth and floats too. I can retrieve it for hours! Also, very durable, but not recommended as a chew toy.